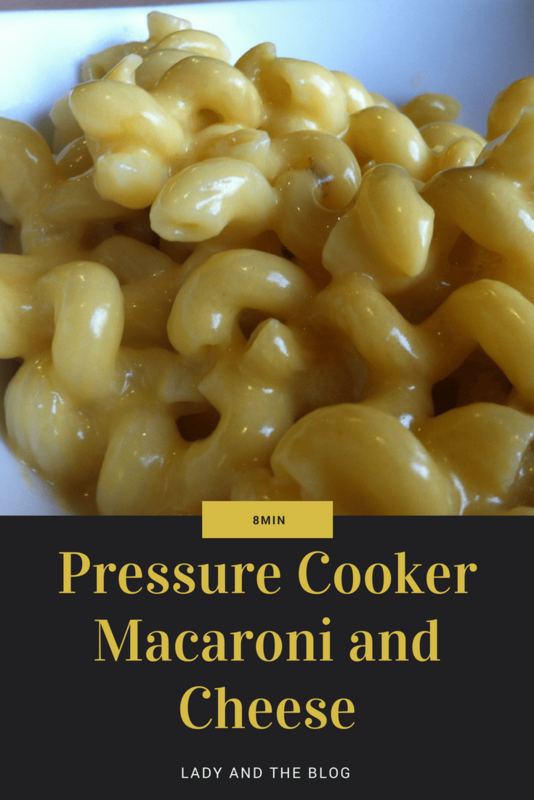 This easy pressure cooker macaroni and cheese recipe is an absolute keeper! Not only was it a breeze to make, but it was also absolutely delicious! I am so excited about my Pressure Cooker purchase. I think it is my favorite kitchen appliance yet. I’m all about gadgets and gizmos and this one is outperforming all the others. No, seriously… this pressure cooker macaroni and cheese recipe took a whopping 8 minutes to make. Can you imagine having dinner made in just 8 minutes? And by the way, I didn’t have to worry about dumping any water, using a colander, hovering over the stove waiting for water to boil … or anything! It all happened in one place and it all happened in under ten minutes. Holla if you hear me. I LOVE MY PRESSURE COOKER. But you know what I love more? My pressure cooker macaroni and cheese. Select BROWN on your machine and melt the butter. Then toss the uncooked pasta in and coat. Add the water and salt and close your top. Set pressure to 40 and cook for 6 minutes. Release steam and open cooker up. Now add the rest of the ingredients and stir. Close the release steam button again and set the pressure to 40 and the cooking time for 2 minutes. When that’s finished, release steam again, open up top and stir. Are you looking for more recipes? 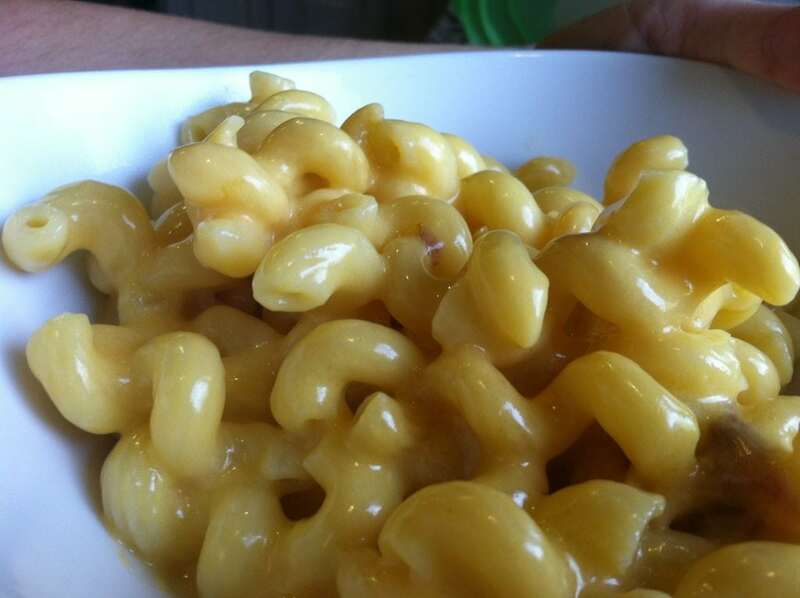 Do you like this pressure cooker macaroni and cheese? I have a TON! Click here to check them out. I have to confess. I am on a pressure cooker kick – but that’s only because I’ve been told by my OBGYN to take it easy and try not to stand too much. I need a method that doesn’t require much from me. And throwing everything in a pot like a crock pot or a pressure cooker is really working for me. Now add the rest of the ingredients and stir. Close the release steam button again and set the pressure to 40 and the cooking time for 2 minutes. When that's finished, release steam again, open up top and stir. Previous Post: « Daily Diary: Yeah I Subscribe To This Magazine … And Proud Of It! Wow, this looks awesome! Now I need to go buy a pressure cooker!! What brand of pressure cooker you have? Having a browning setting or something that opens right away? My pressure cooker has low and high (cuisinart) so which setting would I use for 40 pressure? sounds divine, can’t wait to try it out. I was excited to try your recipe although there are too few details like exactly how much cheese and macaroni are added. I added what I thought was required and it burnt to the bottom and was an awful mess. The noodles were underdone with 7 mins in the pressure cooker for step one… I think she means 7 mins at full pressure but it’s not really clear? Also wasn’t sure on the exact amount of noodles/box to buy? We went one cheddar…. One mozzarella pack and everything else the same… Good luck! this was so easy and delicious. my family said it’s better than stouffer’s. I guess that the standard for them. I have used the stove top pressure cooker over the years but have always struggled with getting the pressure and heat ok. I just recently bought an electric pressure cooker that goes up to 15 psi. I made this Mac & Cheese and it was so great. I didn’t have any trouble following the directions. I can’t wait to make it again!! Totaly recommended. exactly how much macaroni is needed? We don’t buy noodles in boxes. Always bulk. So how many ounces in a box? Also different manufacturers pack in different sizes. Grating your own cheese is much cheaper, too. I bought the macaroni in a box tonight but the average is 16 oz to a box or bag. I seldom eat mac and cheese but the first Friday of every month at church we have our “First Friday Family Night Fiasco” Lots of kids and hot dogs and other side dishes plus softball for those who want to play. This week I intend to take Mac and Cheese done in the pressure cooker and it should be a big hit with the kids of all ages. Doing it in my 6 qt electric cooker. Wish I had bought the 10 qt off HSN the other night. Theirs looked so awesome. Could have used the PC for canning too. Hind sight is 20/20.